I am super busy getting ready for a conference so I don’t have time for proper bloggings. 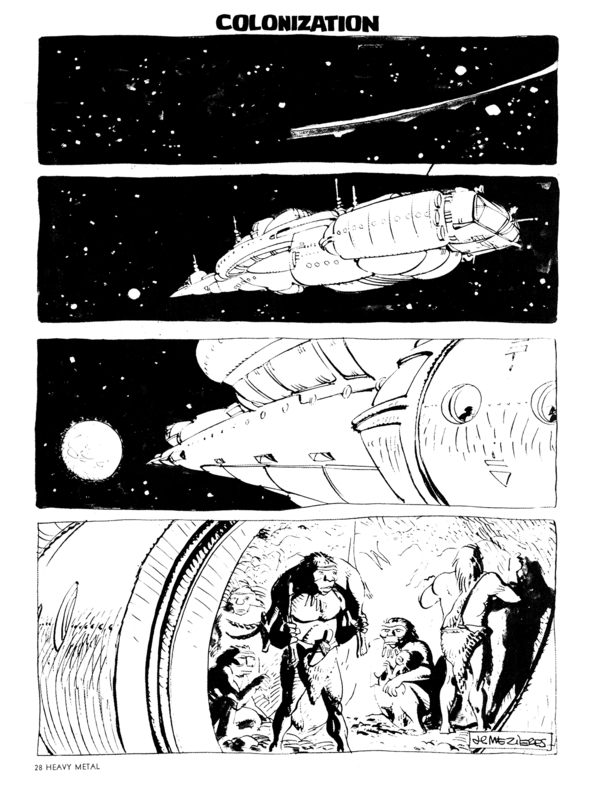 Here is a one-page comic called “Colonization” by Jean-Claude Mezieres. This entry was posted in Heavy Metal and tagged comics, heavy metal, jean-claude mezieres, science fiction. Bookmark the permalink.